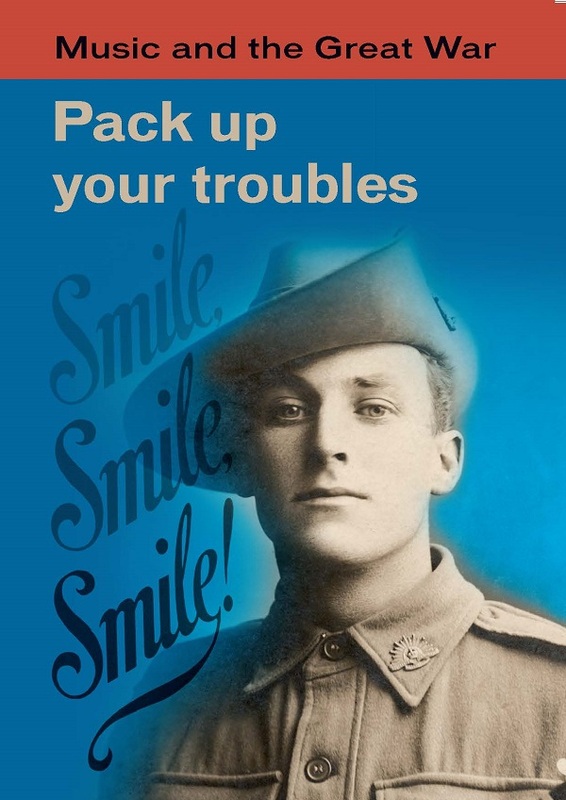 The Grainger Museum's contribution to the Centenary of ANZAC is the exhibition Pack up your troubles: Music and the Great War. With a focus on Australia, the exhibition explores the powerful and varied role of music and musicians during World War I and why music resonated so strongly across a broad spectrum of domestic, civic and military life. On display are popular songs, printed as sheet music with striking covers, which chart the entire course of the war, from those first months through to Armistice and beyond. Other features of the exhibition include posters, artworks, photographs and musical instruments: those that went to war – or were made there. The University of Melbourne's own collection items are complemented with loans from a number of public institutions notably the Australian War Memorial, the National Film and Sound Archive and the Performing Arts Museum, and generous private lenders. For the first time at the Grainger Museum, iPods can be borrowed by visitors in order to hear music associated with items on display. Hear band music, songs and even Nellie Melba or Percy Grainger performing to raise money for the war effort. There is also a short silent movie of Australian archival footage from the National Film and Sound Archive which, with vivid immediacy, illustrates a rich diversity of musical experience from a century ago. Eleven of the twenty recordings were created especially for this exhibition by baritone Kiran Rajasingam and pianist Andrea Katz. For a sample of what is in store at the exhibition—and for an insight into the mood of the time—listen to our artists' rousing rendition of Heroes of the Dardanelles by Reginald Stoneham from 1915.